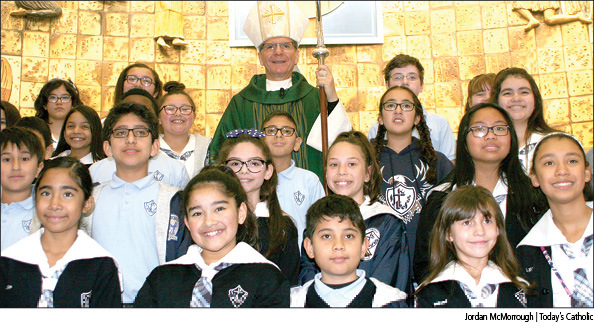 That was the message shouted by more than 700 fifth grade students from 30 schools across the archdiocese as they gathered for their annual Mass with Archbishop Gustavo García-Siller, MSpS, at St. Rose of Lima Church Feb. 13. 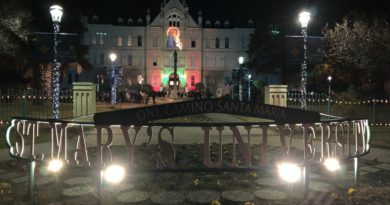 It was a phrase repeated early and often by the archbishop at the liturgy, which began with a colorful banner procession and featured music from a combined choir with students from 10 schools. 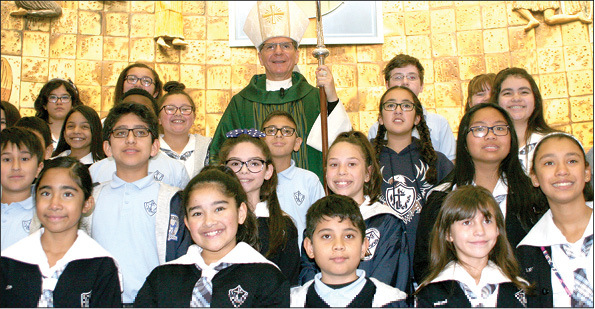 The archbishop told the youth that he trusted them to be good witnesses to the faith, good daughters and sons of God, and good brothers and sisters, showing the love of God to the world. 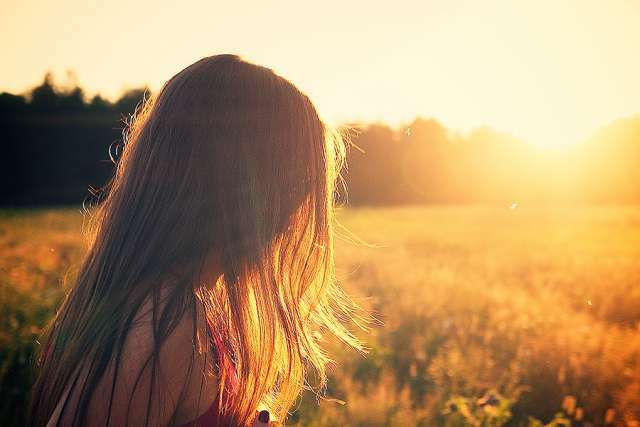 The Missionary of the Holy Spirit smiled and looked out over the congregation. “That’s a pretty weird phrase, isn’t it?” he acknowledged. The “leaven of the Pharisees.” “What does that mean?” he then quizzed. The prelate responded, “It has to do with what the Pharisees were doing in those days. They were people who knew the Bible very well. They knew the words to say, and they were very good at acting holy. 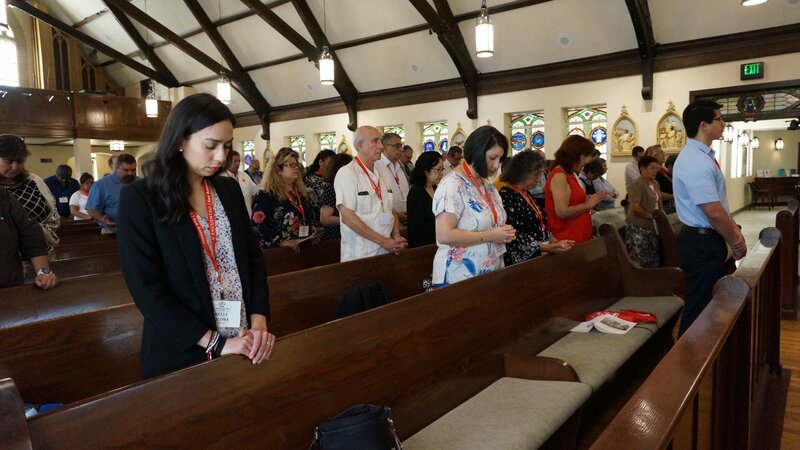 Prior to the conclusion of Mass, Superintendent of Catholic School Marti West expressed her gratitude to the principals in attendance for their ministry in Catholic education.